So I know it’s only October but I’m a huge fan of mincemeat and no it’s not just for xmas it’s for all year round, I love the stuff and would eat it whenever. These bars are something I’ve made a number of times, my first experience was from my mums friend who made some and gave us a few. They are crumbly, buttery and just totally yummy. I had to get the recipe and when I did I have been making them ever since. They are also a favourite of my parents, my aunt, ooooo work colleagues and friends (who like raisins etc) ok so most people do seem to like them. 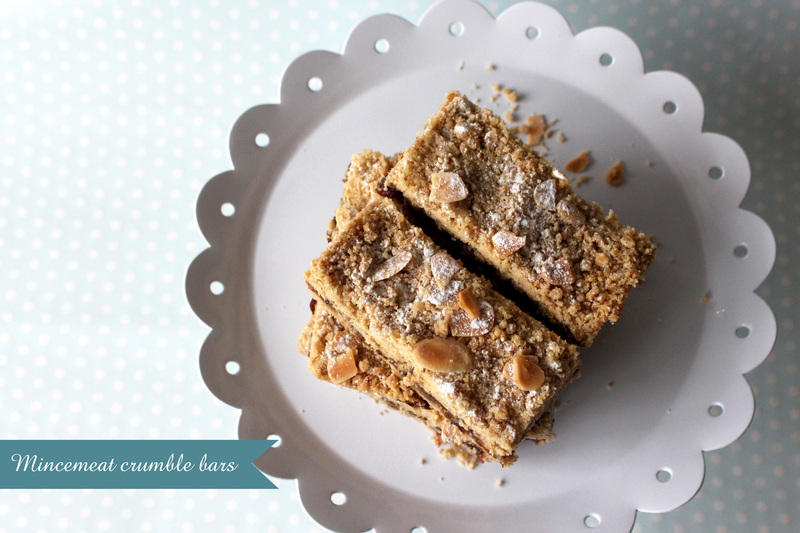 The great thing about these bars are not that hard to make and are also eggless. 1. Preheat the oven to 180°C. Grease and line a rectangle baking tray or 8" square tine. 2. In a medium bowl add the flour, butter, ground almonds, caster sugar and salt. Rub the butter into the flour until it resembles crumbs. 3. In the baking tray tip about ¾ mixture into the base of the lined tin and spread it out well and then press it down very firmly. 4. Spread the mincemeat in an even layer over the top. (this can be quite tricky as it sticks to the base when spreading!) scatter the remaining mixture over the top. 5. Bake for 35 minutes, then scatter the flaked almonds, then put it back in the oven for another 5-10 mins or until the topping is a light golden colour. 6. Remove the traybake from the oven and leave it to cool in the tin. 7. Once cooled dust icing sugar over the top and then cut the traybake into 12-14 fingers or what ever shape you like. I do find that the filling needs to be more, if you want to a thicker filling then use more then one jar of mincemeat.